New foods, new herbs, proper dietary habits are few of the techniques utilised for disease prevention. Some of these techniques are backed by science while some are just fads (I guess we should acknowledge that!) Recently natural health and fitness arena witnessed the rise of chia seeds as a functional food. This post is about Sweet Basil, Sweet Basil Seeds and health benefits of Sweet Basil Seeds that you can reap daily. What is Sweet Basil and Sweet Basil seeds/Tukmaria? Sweet Basil or Ocimum Basilicum is the plant that gives you basil seeds. These seeds are also known as Tukmaria or Sabja. Sweet basil is a herb with simple ovate leafs with ridges in the margin and with flowers that are white, pink or purple in color. Interestingly sweet basil has a flavour similar to that of cloves. Traditionally sweet basil has been used as an anti-microbial, anti-viral and larvicidal agent. It is used to treat digestive disorders, muscle cramps, migraine, nausea, paralysis, cough, fever. It is said to benefit in respiratory diseases, cardiovascular disorders, blood related disorders, kidney ailments etc. It’s essential oil remedies snakes bites and insect stings. 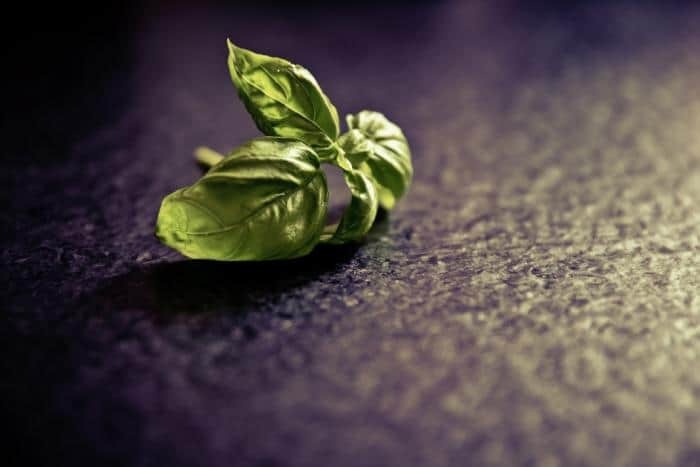 Over 200 compounds have been identified from the essential oil of Sweet Basil. The herb contains 0.5-1.5% of essential oil, 5% tannins and psitosterol. In addition to essential oils, the herb contains, flavonoids, tannins, steroids, triterpenes, polyphenols etc. each of which contribute to its therapeutic property. Tukmaria or sweet basil seeds are obtained from the flowers after they have bloomed and dried. They are oval in shape and black in color. They look similar to poppy seeds. They are larger than chia seeds and swell faster. Basil seeds contain planteose, mucilage, polysaccharides and oil rich in linoleic acid, linolenic acid and unsaturated fatty acids. Here are the popular health benefits of Tukmaria or Basil Seeds which have been either proven by research or applied based on their nutritional composition. Regulated inflammation is the body’s response to protection from infections or a way to heal damaged tissues. However, inflammation in diseased conditions is not controlled and this contributes to disease progression. Basil seeds have fixed oil which comprises of approximately 50% linoleic acid, 22% linolenic acid, 15% oleic acid and 8% unsaturated fatty acids. A study published in Indian Journal of Experimental Biology, 1998 reported the anti-inflammatory action of fixed oil from sweet basil. In an animal model, fixed oil obtained from Sweet basil plant exerted anti-inflammatory action by inhibiting the activity of pro-inflammatory agents like prostaglandins, leukotriene and arachidonic acid. Reduction in inflammation brought about reduction in swelling. Higher the linolenic acid content of fixed oil more significant was the anti-inflammatory activity. Linoleic acid is an essential omega 6 fatty acid which has anti-inflammatory action. It inhibits two major inflammatory enzymes- COX and LOX in order to exert anti-inflammatory action. Tukmaria (Basil seeds) exerts anti-inflammatory effect by virtue of essential fatty acids present in its fixed oil. This can benefit in various inflammatory conditions like arthritis, inflammatory bowel disease, pelvic inflammatory disease etc. Mediratta et.al demonstrated the immunomodulatory action of basil seed oil via an experimental study. Oil from sweet basil seeds increased antibody production, decreased histamine production (reducing allergy reaction), decreased swelling and improved immune cell response. Administration of diazepam and benzodiazepine with Sabja seed oil enhanced its regulatory effect on immune system. Further administration of flumazenil (an agent that inhibits benzodiazepine action) inhibited the action of Sabja seed oil. Based on this, the researchers felt that Sabja seed oil acts via GABAergic system to regulate immune responses. Gamma amino butyric acid (GABA) is one of the neurotransmitters or brain chemical that contributes to proper functioning of brain and nervous system. These findings could be beneficial in brain and nervous system disorders where immune function dysregulation is observed as in case of neurodegenerative diseases such as Alzheimer’s, Parkinson’s etc. Further research is required to assess the exact mechanism by which oil from basil seeds regulate immune responses. Oil obtained from basil seeds can regulate immune responses by acting on neurotransmitter GABA; this may benefit brain health. More research into the mechanism of immunodulatory action of Sabja can help identify the benefits of Sabja in autoimmune conditions. 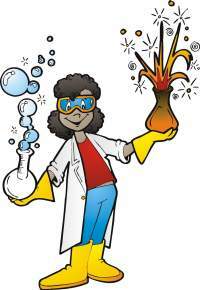 When cells utilise oxygen as energy, free radicals are produced as a consequence. Now, these free radicals are beneficial for regulating cellular and immune responses. But when the concentration of these free radicals increases, the delicate balance between prooxidant and antioxidant agents in the body is lost and this paves way for disease development. Tukmaria is rich in natural antioxidants. A study was conducted to compare the antioxidant potential of basil seeds, celery seeds and garden cress seeds. Tukmaria seeds were found to have highest antioxidant capacity and radical scavenging ability. Overall all 3 seeds showed potential antioxidant activity and researchers concluded that they could be utilised to make nutraceuticals or health supplements. Basil seeds’ (Ocimum canum in this study) antioxidant activity is found to improve immune responses and metabolic health under experimental conditions. The antioxidant power of Sabja can be beneficial to health especially with respect to heart health, brain health, dental care and bone health. Basil seeds are packed with antioxidants that can boost overall health, reduce cardiovascular risks, promote brain health, protect bone and metabolic health. Polyphenols and flavonoids are plant based antioxidants. Flavonoids also serve as pigment for plants. Their antioxidant property makes them beneficial in preventing diseases like cancer, cardiovascular diseases, neurodegeneration etc. It is thought that these polyphenols and flavonoids are found only in stems and leaves of basil plant. But recent studies show that these polyphenols and flaonoids are present in seeds as well. Mabood et.al has proven that basil seeds have the highest level of polyphenols when compared with ajwain, sesame and red seeds. Alcoholic extracts of Sabja seeds indicate that they are rich in flavonoids and other organic solvent extracts reveal that they contain alkaloids, phytosterols and triterpenoids. Considering that these flavonoids and polyphenols won’t be different from what is obtained from basil leaves, Sabja may contain caffeic acid, quercetin, rosmarinic acid, glycosides etc. These can help in disease prevention like prevention of heart diseases, infectious conditions, neurodegenerative conditions etc. Polyphenols and flavonoids present in Tukmaria contribute to its health benefits and multiple pharmacological properties of its oil such as anti-inflammatory, anti-microbial, antioxidant, anti-diabetic etc. They can also aid in disease prevention. More research is required to identify the active components present in Sabja. Traditionally sweet basil or any basil species has been used for their broad spectrum anti-microbial properties. Kaya et. al have demonstrated that methanol extracts of Ocimum basilicum have anti-bacterial activity against strains of Pseudomonas aeruginosa, Shigella sp., Listeria monocytogenes, Staphylococcus aureus and Escherichia coli. A study published in BMC Complementary and Alternative Medicine, 2013 examined the effect of medicinal plants against Tuberculosis infection. Tuberculosis causes 1.4 million deaths annually and the bacterium has developed drug resistance. One of the plants tested were Ocimum basilicum or sweet basil seeds. Methanol extracts of sweet basil seeds were found to inhibit the growth of both Mycobacterium tuberculosis and Mycobacterium bovis. It can be inferred that extracts from Sabja seeds can be effective in fighting TB infection and more research may discover it’s anti-microbial against other lethal and infectious organisms. Alcohol extract of Sabja seeds have proven anti-bacterial activity against tuberculosis causing bacteria. Further research may identify its broad spectrum anti-microbial activity against other infectious microorganisms. Diabetes is characterised by lack of blood sugar control and reduced insulin production or insulin resistance. Sabja can benefit in this condition owing to its dietary fibre content. The gel formed by sweet basil seeds helps slow down the action of digestive enzymes (in this case carbohydrate degrading enzymes) and thus lead to slow breakdown of carbohydrates in the diet and subsequent slow release of glucose in blood. A study published in Biomed and Pharmacotherapy revealed the anti-diabetic potential of sabja or sweet basil seeds. The effect of high and low doses of aqueous extract of sweet basil seeds were assessed in an animal model of diabetes. It was observed that sweet basil seeds lowered blood sugar levels. Improvement in body weight was also observed. Other biochemical parameters, blood cells related parameters and serum electrolytes were normalized. Further investigation revealed that pancreatic islet cells, whose dysfunction is marked in diabetes, were also normalized in terms of cellular structure. Researchers concluded that sabja has potent anti-diabetic potential and can be used to treat type 2 diabetes as well as its associated complications. Sabja has anti-hyperglycemic or blood sugar lowering properties that can help in type 2 diabetes management. When soaked in water, sweet basil seeds swell within minutes to form mucilage or gel around themselves. This mucilage is nothing but polysaccharides present in outer layer of the seeds. Soaked seeds can trap 4 times the water trapped by seeds without gel. Consuming this gel prior to meals acts as a natural appetite suppressant and reduces further calorie intake. Also it slows down the action of digestive enzymes and improves glycemic control. This effect can aid in weight loss. No study till date has proven this point. A study published in The International Journal of Preventive Medicine 2016 investigated whether dietary fibre in the form of Plantago psyllium and sweet basil seeds, assist in weight loss in Non Alcoholic Fatty Liver Disease patients. But the results do highlight that compared to the baseline characteristics and post-treatment results, within each group a significant difference in body weight was observed. Body weight, BMI and fat mass were significantly reduced in Sabja group. In Plantago group, body weight, BMI, lean body mass and soft lean mass were reduced. In the mixed group, significant weight loss was observed especially in the trunk region. The study, however, had limitations: patients’ diet was not monitored, and some patients were taking medications to improve liver health that could nullify the effect of Sabja and Plantago. Thailand researchers conducted a study where they examined the effect of sweet basil seed on body weight. Now the species they used were Ocimum canum. 20 obese individuals were enrolled in the 16 week study. They were asked to consume 2g of sweet basil seeds soaked in 240 ml water twice a day before major meals for 12 weeks. Based on whether they could consume more than 50% of the recommended dose or not, they were categorized as high dose and low dose groups. A significant decrease in BMI was observed in high-dose group, but a decrease in fat was not observed. It was thought that body water content was reduced and proven by further tests. For low dose group interestingly body fat increased at week 8. Despite the changes observed in high dose group, no significant benefits in metabolic health was observed apart from blood sugar being normalized. More research is required to examine the effect of Sabja in weight loss, but it is beneficial and safe to utilise natural, nutritious appetite suppressants over conventional appetite suppressants. Sabja seeds gel can help in appetite control and thus benefit in weight loss. More research is required to confirm this point. Inflammatory bowel disease is characterized by chronic inflammation of the intestines. Though the exact cause of the disease is not identified, IBD is considered as an autoimmune disease. Tukmaria seeds contain oil that have a good blend of anti-inflammatory omega 3 and omega 6 fatty acids. Also, experimental studies prove that oil from Tukmaria can inhibit the activity of pro-inflammatory agents and thus exert an anti-inflammatory effect. Further Sabja is also proven to have immune regulating effects that may benefit in this autoimmune condition. These pharmacological properties make Tukmaria seeds a potential therapeutic agent in inflammatory bowel disease. In fact, traditional Iranian medicine utilises Tukmaria seeds as one of the ingredients in the herbal products designed for IBD treatment. It is rich in dietary fiber which is great for gut health; however in case you have been recommended to avoid dietary fiber then Tukmaria seeds may not be the best option for you. Tukmaria seeds can benefit in IBD by virtue of its anti-inflammatory and immune-regulating properties. Now you must have read that Sabja is a great body coolant. According to Ayurveda (Traditional Indian medicinal system), there are three doshas or energies of the body which describes an individual’s health and nature. So based on these doshas, certain foods are recommended to be consumed by that individual for better health. Individuals with Pitta dosha are suggested to consume foods that serve as refreshing and cooling like cucumbers and watermelons. Similarly, basil seeds act as a coolant since it absorbs water and hydrates the body. If you are suffering from acidity, adding basil seeds to your juices can help soothe gastric inflammation caused by acidity and relieve the symptoms of gastroesophageal reflux disease. Acid reflux can make one prone to gastric ulcers. An animal study was conducted to investigate the anti-ulcer effect of Sabja. Pretreatment with Sabja seeds and cimetidine (a medication used to reduce stomach acid) was found to reduce gastric erosion. Sabja seeds were found to reduce or inhibit gastric damage, inflammatory markers and mucosal swelling as efficiently as the stomach acid reducing medication. Basil seed’s hydrating property and anti-ulcer activity can benefit in acid reflux and gastric ulcers. As mentioned previously, essential oils from basil have anti-microbial activity and these can benefit in infections that cause acne. A study published in International Journal of Cosmetic Science, 2006 examined the antibacterial activity of essential oils from sweet basil, holy basil and hoary basil against Propionibacterium acnes (bacteria that causes acne). It was observed that essential oil from sweet basil was more effective inhibiting the growth of the bacteria then essential oils of other basil varieties and also it was effective at a low dose. A group of Indian researchers tested the effect of essential oil derived from stem, leaf and seeds of Ocimum basilicum or Basil plant against Propionibacterium acnes. The paper was titled as ‘Standardization and Antibacterial Screening of Ocimum Basilicum (Lamiaceae.) Leaf, Seed And Stem Extracts Against The Organism Propionibacterium Acnes’. 70% ethanolic leaf extract and 99% ethanolic extract of seeds and stem showed excellent inhibitory activity against Propionibacterium acnes. The researchers also noted that the extracts showed maximum inhibition at low concentrations. Oil from Tukmaria seeds can inhibit the growth of bacteria that cause acne and thus benefit skin health. There is no study that proves Basil seeds help in constipation but it is a well-known fact that a good amount of dietary fiber can help regulate bowel movements. In fact, a study published in World Journal of Gastroenterology, 2012 confirmed that dietary fiber intake improves bowel movement in constipation. Research suggests that sweet basil seeds contain around 80g of dietary fiber per 100g of seeds. This dietary fiber is soluble which helps increases satiety, slows down absorption and digestion of food and eases bowel movements. Regular consumption of soaked sabja can help relieve constipation. High soluble dietary fiber present in Sabja can help improve bowel movement and relieve constipation. Dehydration can impair athletic performance. Athletes are recommended to have 500ml of fluids before the event and cool or cold drinks at regular intervals. Basil seeds can be a great source of hydration and energy for athletes. Basil mucilage or gel traps in 4.86% and 10.9% protein. The gel can trap in 4 times the amount of water as non-soaked seeds. This makes Sabja an excellent source of hydration. Also its dietary fibre content and ability to control blood sugar can provide a steady source of carbohydrates as energy to athletes. Basil seeds are rich vitamin A, vitamin B, Vitamin E and minerals like calcium, phosphorous, magnesium, potassium, etc. This can help maintain electrolyte balance and provide nutrition as well. Tukmaria seeds gel as well their mineral content make them a perfectly natural source of hydration and energy for athletes. Basil seeds gel is used to make edible films for application in the food industry. The addition of Basil seeds gum to low fat whipped cream is found to improve its quality and texture. Coating seafood with basil seed gum and thyme before frying is found to reduce oil uptake, prevent fat oxidation and lower toughness without affecting taste, smell or color. Basil seed powder can be used as a fat replacer when preparing muffins. Apart from reducing fats and calories, it improves porosity and softness of muffins and adds nutrients as well. Sabja seeds can be used to replace fat and lower calories in food items. They also add nutritive value to food. Basil seeds or tukmaria are hard to chew, so it is advised to soak them before eating. Take 1 teaspoon of basil seeds and soak them in one glass of water. Set them aside till they swell and form a gel. Then consume this water and gel mixture. You can keep adding a teasspoon of the gel into water or fluids you drink whole day. To make it tastier, you can prepare such a gel and mix part of the gel with yogurt and fresh fruits and consume it. Sabja can be directly added to juices and consumed once they swell. You can add them to milkshakes and smoothies. Basil seeds mixed with lemon water, or lemonade is a great way of consuming it on a daily basis. Basil seeds must be consumed after they have been soaked to form a gel. They absorb water rapidly and swell even in the mouth. So if consumed dry they may swell in the throat and cause choking. No allergies to basil seeds have been reported but if you are allergic to any species in the mint family then avoid sabja. Safety of basil seeds during pregnancy or lactation has not been ascertained. Confirm with a health practitioner prior to consumption. Basil seeds or Tukmaria are a great addition to diet because they are overloaded with nutrients, dietary fiber and essential fatty acids that are awesome for health. Sabja can help with appetite control and improve digestion. They are a great source of hydration and necessary carbs for athletes. Also, they are great for blood sugar management. How do you take Tukmaria or Basil seeds? Do leave your answers as comments below! Previous articleHypnosis for Weight Loss: Does It Really Work?